Comfort (4/5) – The rectangular housings are small and quite ergonomic, with long angled nozzles and rounded edges. They should fit all but the smallest ears when worn cable-down and can be worn cord-up fairly easily as well. Sound (4.9/10) – Clearly oriented at the consumer market, the UE100 is nevertheless a fairly well-balanced earphone with good bass and midrange presence. The low end has good extension and decent impact, though it is not as voluminous as that of the pricier UE350. It lacks crispness, detail, and texture but sounds much less boomy compared to a MEElectronics M2 or Skullcandy Smokin’. The bass-midrange balance is good, with the mids prominent enough even on bass-heavy tracks. The midrange tends to lack crispness and clarity next to higher-end sets such as the Brainwavz Beta but for the price the UE100 has nothing to be ashamed of – it is fuller, warmer, and smoother than the similarly-priced Section 8 earbuds and far clearer than the Skullcandy Smokin’. The treble has decent extension and rolls off rather gently at the top. For the most part the top end is smooth, albeit lacking in detail. The presentation is farther back compared to most entry-level sets but has decent air. Next to higher-end IEMs it lacks depth and separation but does give a sense of space that differentiates it from the in-the-head presentation achieved by most cheap earphones. 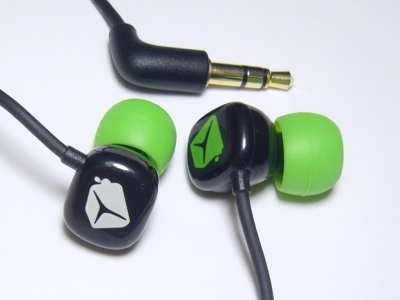 All in all, while the UE100 can hardly be called Hi-Fi, for $10 one could do much worse. Value (7.5/10) – The Ultimate Ears 100 is a cheap-and-cheerful set with an unusual but very user-friendly form factor, low cable noise, good isolation, and sound that – for the asking price – is decently balanced and surprisingly competent all around. It’s a good backup set or kid earphone to pick up for $10-12 but do make sure the warranty is intact as the driver flex on some pairs can utterly ruin the experience.